If you spend a lot working on ​your small business, having the right credit card is essential. A small business credit card gives you the flexibility you need to pay for business expenses when you’re short on capital. Or, you can use a small business credit card to earn rewards on your normal business expenses – just pay in full for the maximum benefit. On our list, you’ll find a variety of credit cards that pay generous sign-up bonuses and rewards, some with no preset spending limit, which gives your business the ability to buy what it needs, and even a credit card that gives you a discount for early repayment. 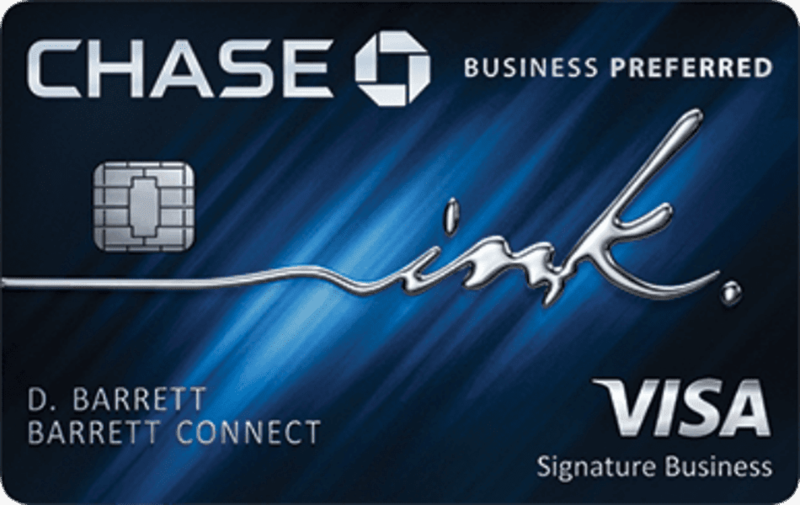 Earn 80,000 bonus points after you spend $5,000 on purchases in the first three months after opening your Chase Ink Business Preferred Credit Card. The 80K bonus is worth up to $1,000 toward travel rewards when you redeem through Chase Ultimate Rewards. Ongoing, you’ll earn three points per dollar on the first $150,000 spending in certain business categories each year. Categories include travel, shipping, Internet, cable, phone, as well as social media/search engine advertising purchases. All other purchases earn unlimited one point per dollar. Points are worth 25% more when you redeem them for airfare, hotels, car rentals and cruises through Chase Ultimate Rewards. You can make 1:1 point transfers to certain Chase Ultimate Rewards partners. That means you won’t lose any points in the conversion. Important Pricing: APR is 18.24 to 23.24%. The annual fee is $95 and there’s no foreign transaction fee. With the Business Platinum Card from American Express, you have the chance to earn up to 75,000 Membership Rewards. First, you’ll earn 50,000 Membership Rewards points after you spend $10,000 and an extra 25,000 points when you spend $10,000 more on qualifying purchases within your first three months of opening your account. Earn five points per dollar on flights and prepaid hotels booked through amextravel.com; 1.5x points per dollar on eligible business purchases of $5,000 or more – up to 1 million points per year; and 1 point per dollar on everything else. Get up to 500,000 bonus points per year. Amex gives 35% of your points back when you use your Membership Rewards to pay for all or part of an eligible fare. The Business Platinum Card from American Express is a charge card, which means you pay your balance in full each month. This saves you from paying interest on your balance, a cost that would offset the rewards you’ve earned. Enjoy a $200 airline fee credit each year to apply toward incidental fees such as checked bags and in-flight purchases that you pay for with your credit card. Important Pricing: There’s a $450 annual fee and no foreign transaction fee. Earn 50,000 AAdvantage® miles after making $3,000 in purchases in first 3 months and 10,000 after making a total of $10,000 in purchases in first 12 months of account opening. You’re eligible for the bonus as long as you haven’t had any CitiBusiness or AAdvantage card opened or closed in the past 24 months. Ongoing, you’ll earn two miles per dollar spent on business categories; two points per dollar on eligible American Airlines purchases; and one point per dollar on everything else. Add an employee business card to earn additional miles. There’s no cap on the awards you can earn. Your points won’t expire as long as you earn or use rewards at least once every 18 months. Other perks include an American Airlines Companion Certificate when you spend $30,000 or more each year; 25% savings on in-flight purchases when you use your CitiBusiness AAdvantage Platinum Select World MasterCard; and first bag checked free on domestic American Airlines flights. Important Pricing: The Purchase APR is 17.99 to 25.99% based on creditworthiness. The annual fee is $99 and is waived for the first 12 months. There’s no foreign transaction fee. The new American Express Plum gives you a discount for repaying your balance early. The 1.5% early pay discount applies to the portion of the balance you pay within 10 days of your statement closing date. If you spend $10,000 and pay the balance early, you’ll save $150 that month. There’s no cap on the discount, but you must pay at least the minimum due by the due date. If you choose not to take advantage of the early pay discount, you have up to 60 days to pay your full balance and pay no interest. There’s no preset spending limit on American Express Plum. Instead, your purchasing power is based on your use of the card and other factors. Enjoy Amex Open benefits such as car rental loss and damage insurance, purchase protection, baggage insurance, premium roadside assistance, travel accident insurance and extended warranty. Important Pricing: $0 introductory annual fee, then $250. No foreign transaction fees. With Capital One Spark Cash, you have the opportunity to earn a $500 cash bonus when you spend $4,500 on purchases in the first three months of account opening. Ongoing, your credit card purchases earn unlimited 2% cash back. If you spend a lot on your business, you have the opportunity to earn hundreds of dollars in rewards each year. Redeem your rewards at any time and in any amount. There’s no minimum redemption. If you have employees who also make purchases for your business, you can add employee cards at no additional cost and earn rewards on all their purchases. The card includes zero fraud liability. So you’re not responsible for fraudulent or unauthorized purchases made on your account. As an additional benefit, you’ll get a quarterly itemized report of your spending to help with planning, budgeting and taxes. Excellent credit is required. Important Pricing: Purchase APR is Prime plus 19.24%. The annual fee is $0 in the first year, $95 after that, and there’s no foreign transaction fee. Capital One Spark Miles pays new cardmembers a one-time bonus of 50,000 miles once you spend $4,500 on purchases in the first three months. The 50K bonus is good for $500 in travel. Ongoing, your purchases will earn unlimited two miles per dollar on all purchases. That means there are no spending categories to keep up with. Just spend as you need to for your business and earn rewards. Redeem your miles at any time, in any amount. Just like with the Capital One Spark Cash, you can add additional employee cards at no additional cost. Purchases made on employee cards also earn rewards. You’ll need excellent credit to qualify for the Capital One Spark Miles Card. Important Pricing: Purchase APR: 19.24%. The annual fee is $0 in the first year, $95 after that, and there’s no foreign transaction fee.